For most companies, sustainability is not a simple case of "profits vs. planet" but a more subtle issue of people looking for jobs and inexpensive goods versus others who seek a pristine environment. Here's how your supply chain can satisfy these conflicting motivations to achieve both economic growth and environmental sustainability. Environmental sustainability is first and foremost a logistics and supply chain management (SCM) issue. Supply chain activities such as procuring raw materials and transporting goods impact companies' environmental performance. Moreover, environmental groups rightly hold companies responsible not just for their own actions as corporate citizens, but also for the actions of their suppliers. Managing supplier relationships falls within the remit of the SCM discipline. Given these pressures, it appears that companies have an explicit case for investing in supply chain sustainability programs—yet the case for making substantial investments is far from clear and companies tend to do the minimum necessary to support sustainability goals. 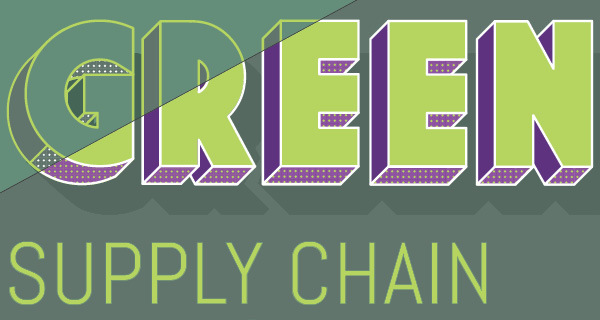 Much of the ambiguity springs from the rationale to pursue green supply chain practices. One motivator is that companies tend to be put on the defensive by criticism from environmental groups and need to respond. The sheer complexity of greening supply chains is another reason for investing in green—albeit minimally. But the main reason for corporate caution when it comes to green investments is that consumers are unwilling to pay a premium for sustainable products.